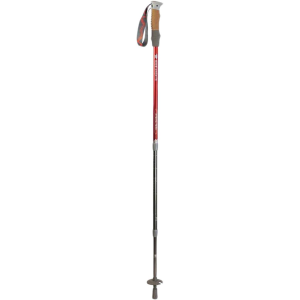 Features of the Kelty Range 1.0 Trekking Pole - Single Internal Anti-Shock Spring Technology Non-slip carbide tip for secure pole plants on various surfaces Includes: Protective cap, trekking basket, and rubber tip for concrete surfaces Padded wrist strap for added comfort Textured Cork and EVA foam handle adds all-weather grip and comfort Reliable twist-lock mechanism provides easy length adjustment Replacement trekking baskets, rubber tips and Snow baskets available If the product name has the word in. pairin. in it, that means it comes with TWO trekking poles. If the product name says in.singlein. or has options to select a size, it means that particular style only comes with ONE trekking pole. Sorry to be so confusing. Please don't hate me. Don't let the ever-changing up and downhill terrain hold you back. 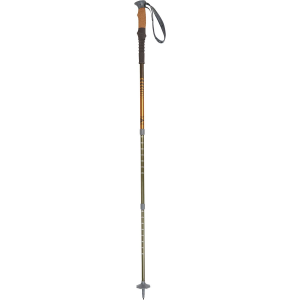 The anti-shock trekking pole will buffer the intensity of any descent and keep things comfortable with all-weather grips. Use it on a variety of terrain to keep your knees from being exposed to the pain. Kelty Camp & Hike Range 1.0 Trekking Pole Single Canyon Brown/Cinnamon 27680418. With a pair of Kelty Range 2.0 anti-shock trekking poles even the steepest descent doesn't pose a threat to your knees. An extended foam grip helps you adjust to changing terrain while an all-weather grip makes it easy to fly down the trail in rain or shine. CLOSEOUTS . 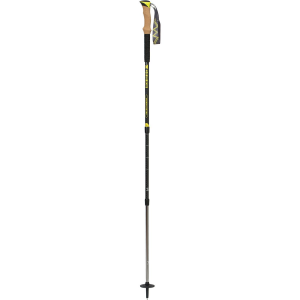 Going downhill is never an uphill battle with Keltyand#39;s Range 1.0 trekking pole to help navigate the toughest terrain. 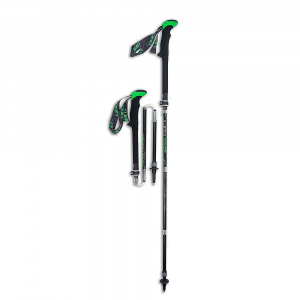 The lightweight aluminum shaft with anti-shock spring technology, easy-to-adjust pole lengths and padded EVA-and-cork grips help you maintain steady footing in changing conditions, and keep your knees happy along the way. Available Colors: GREEN, ORANGE. Add more stability and balance to challenging hikes with the premium Kelty Range 1.0 Trekking Pole and its internal anti-shock technology. Construction details include a lightweight aluminum shaft, cork/EVA foam grip, padded wrist strap and nonslip carbide tip. Pole weighs only 10 oz. and adjusts between 27.5-53 long using a reliable twist-lock mechanism. Includes protective cap, trekking basket and rubber tip for concrete surfaces. Per each. 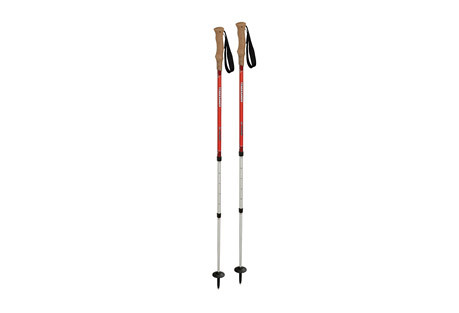 Type: Trekking Poles.